Meanwhile, the plants are loving the heat. The bhut jolokia peppers are on an incredible growth spurt. 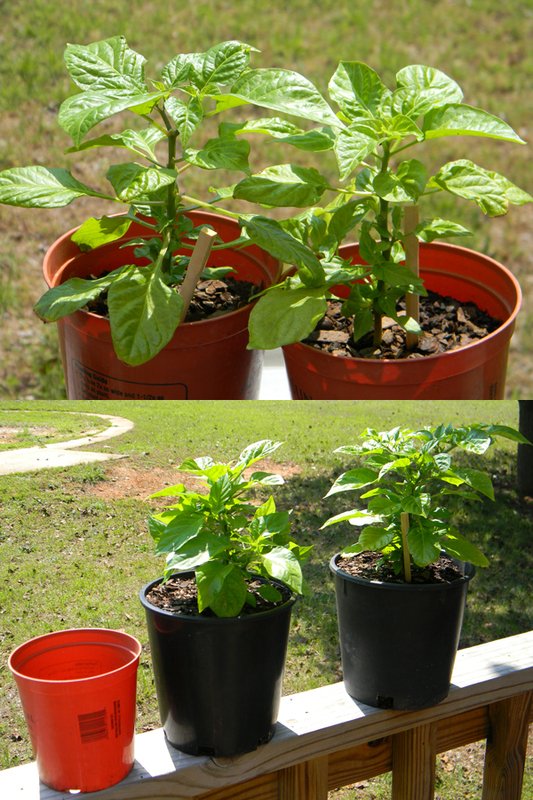 I recently re-potted the peppers to bigger containers (within the last two weeks). As you can see from the photos - they may need even bigger containers shortly. I'm so glad they are doing this well - even if the weather is this hot. The echinacea plants are doing great also! Their height has doubled and numerous buds are waiting to pop. 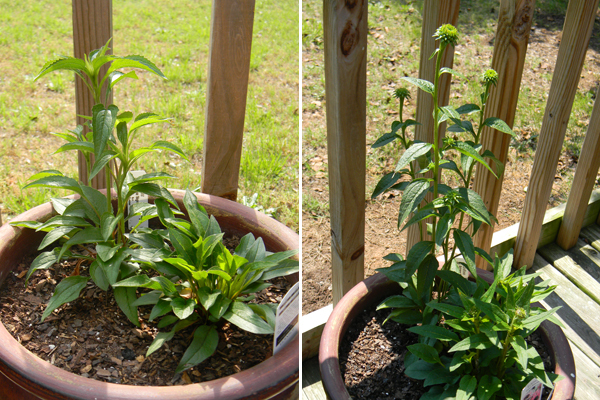 I can't wait to see the fuschia pink variety bloom. They should be beautiful! 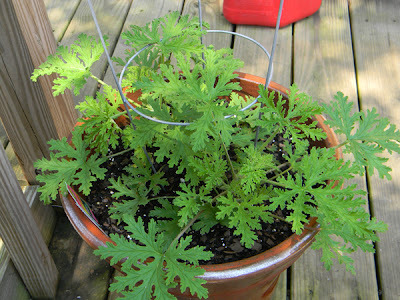 The newest addition to my plant family is the citronella plant (citrosa geranium). If you are living in the south, no matter how diligent you are about lighting the citronella candles or dumping standing water, the mosquitos will find you. The plant is my protection from the pests. Meanwhile, it looks great and smells good too. You can rub the leaves and it has the same affect as rosemary - you carry the scent around with you until you wash your hands. 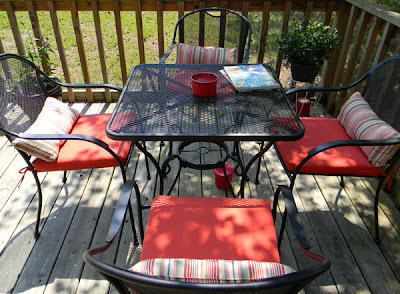 Last but not least, I wanted to show everyone my bistro table (now with 4 chairs). 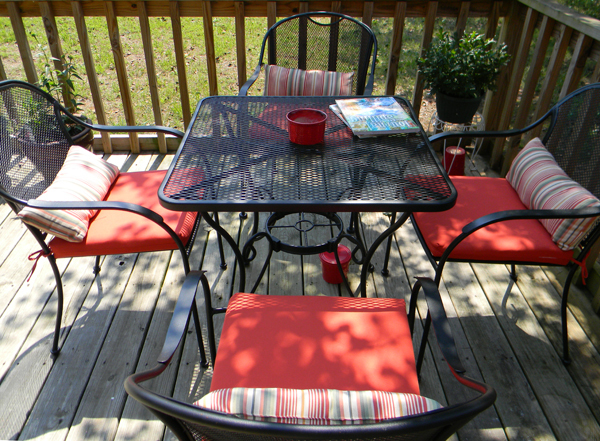 If the weather ever cools off, this is where you can find me. Now, doesn't this look inviting? Until next time - Happy gardening and stay cool in the heat (where ever you are)! Better them than me out there! Miss you too!